EA is involved with three broad types of change. The degree of involvement, and the role of the EA team, changes with each type of change. 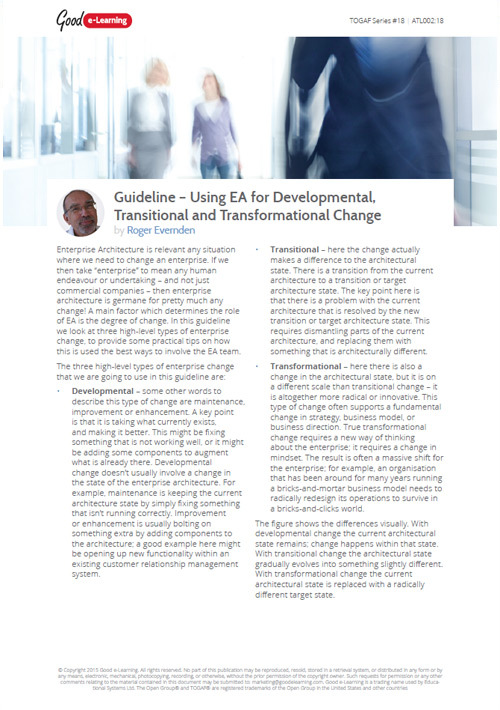 In this Guideline we describe development, transitional and transformational change, and explain what the EA team should be doing in each situation.